Scuba diving is a form of diving in which the diver uses a compressed air scuba, rebreather or helmet to survive underwater. 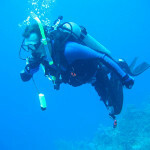 In contrast to Apnea diving, the artificial breathing gas supply makes it possible to dive for several hours. Unlike surface diving, the scuba diver carries a supply of breathing gas during the dive. Normally this is compressed air, but other mixtures such as Nitrox, Trimix or Heliox are also used. A scuba diver moves freely in the three-dimensional space offered by the water, driven by their buoyancy compensator and fins or diving scooter. Scuba diving is practiced in various forms: in recreational diving as a pure leisure activity, in professional diving as a profession. 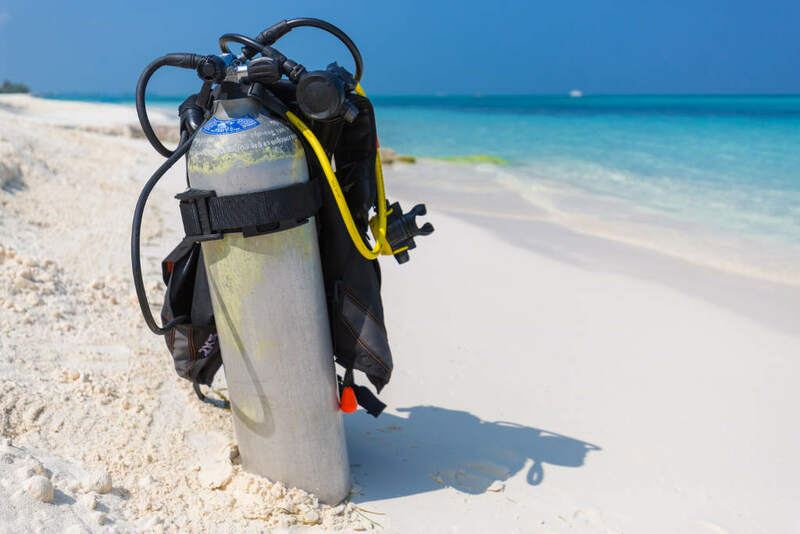 How does scuba diving work: are there rules to follow? Scuba diving is a leisure sport that must go hand in hand with pleasure! But to have fun without risk, a few safety rules must be respected. If you want to get into practice, it is essential to follow a training course. Many clubs and structures exist all over the World to allow you to start with peace of mind. As a general rule, never dive alone and always use well maintained equipment. Your life depends on it! To avoid negative effects on the body, the monitors teach you to respect the maximum recommended depths according to your level and above all, the respect of the different decompression stops. Did you know that in the hours following a dive, it is strongly discouraged to fly or climb to altitude. So remember to get organized. As a discovery sport, the benefits of diving are above all psychological. Seascapes, the beauty of the underwater fauna and flora, the exploration of wrecks in complete freedom: the change of scenery is total! The particular atmosphere of the funds envelops you completely and transports you away from the hustle and bustle of everyday life. You are totally relaxed. Diving is not a very physical sport compared to running or cycling, but it’s practice still brings you benefits both in terms of muscle development and endurance. Diving regularly will also help you to better control your breathing and manage your stress. Scuba diving requires a good basic physical condition. Feel free to prepare your body with swimming, running or mountain biking, which are beneficial for cardiovascular and pulmonary functions. Scuba diving, is it for you? Do you want to discover and want to discover a quieter sport? Then yes, diving is for you. It is a gentle sport that can be practiced by anyone, but only if they are in good physical condition. As some parts of the body are not yet sufficiently developed before this age, diving is not allowed for children under 8 years of age. Beyond that, they are advised not to go below 6 meters in depth, while remaining accompanied by an approved instructor. The mask: opening your eyes in the water is not very pleasant, the mask is absolutely essential to see underwater. Fins: they will allow you to evolve underwater. The combination: your body cools 25x faster in water than in air. A neoprene suit is therefore recommended to fight against the cold while diving. Its thickness will vary according to the temperature of the water in which you dive. The stabilizer vest: manage your buoyancy, carry your gear and keep your tank in place, these are the advantages of the stab vest that make it a must for divers. The regulator: Unless you are an experienced freediver, it is an essential accessory connected to your diving block. 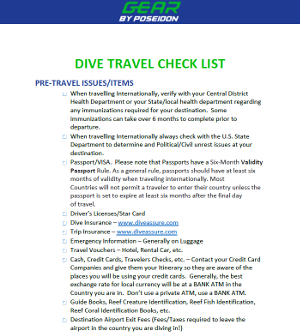 Safety equipment: parachute, dive computer, etc…. If you are thirsty for discovery and attracted to the aquatic environment, diving may well be your new favorite sport. With more than 25,000 clubs and organizations throughout the globe, it is easy to start in good conditions. And you, how did you discover diving? What do you like about this sport? Would you like to share an anecdote? The floor is yours in the comments.